WASHINGTON, D.C., December 15, 2017 – tiag® (The Informatics Applications Group, Inc.) is honored to announce that Steven (“Steve”) D. Vincent has earned an Honorary 2018 VETTY Award in recognition of his selfless service and relentless dedication to veterans. The 2018 VETTYS recognize the recipients’ works in 2017 that demonstrate consistent, extraordinary quality of public service, exemplary advocacy efforts and outstanding service to the veteran community. “For the past three years, The VETTYS have celebrated the remarkable work of individuals and organizations who have exceeded expectations by providing exceptional service for the veterans’ community. Steve Vincent’s success in making such significant contributions testifies to the outstanding stature he holds as [an individual] and as senior business development manager for tiag,” says Irene Polyzos, chief public relations officer for The Academy of United States Veterans (AUSV). 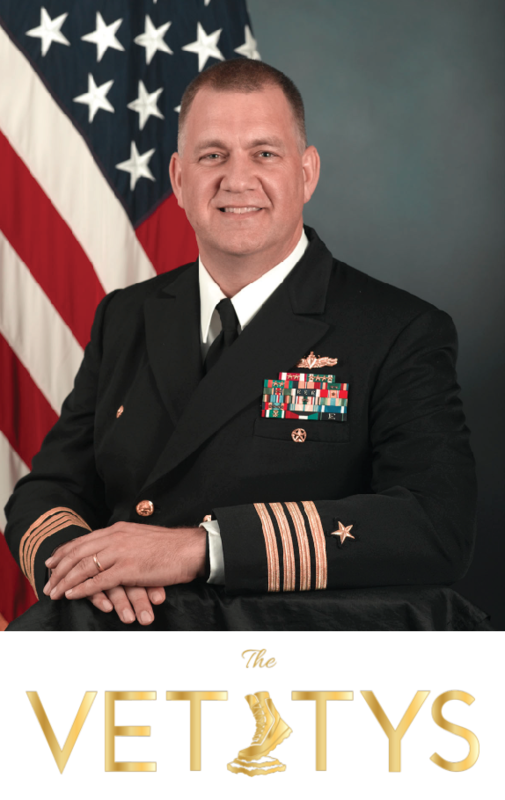 Vincent is a stalwart advocate of veterans, inspired by his prior 25-year U.S. Navy career and a personal sense of duty to empower the successful integration of veterans into the civilian workforce. In his quest to help active-duty military, veterans and employers overcome obstacles intrinsic in military-to-civilian workforce transitions, Vincent mentors veterans, teaching them effective, successful ways to articulate their value proposition to potential civilian employers. Likewise, Vincent educates employers and organizations on effective ways to improve their approach and ability to attract, hire and retain veterans. Together with other influential 2018 VETTYS Award honorees, Vincent will be recognized and presented with the coveted VETTY statuette at the star-studded Third Annual Veterans Awards ceremony on January 20, 2018. Staged at Washington, D.C.’s renowned Mayflower Hotel and hosted by CNN Chief Washington Correspondent and Anchor Jake Tapper, The VETTYs is an annual event celebrating awards conferred by AUSV voting members. This year, the event will benefit Coalition to Salute America’s Heroes and Paralyzed Veterans of America. AUSV will also donate a portion of event proceeds to hurricane relief. For more information, please contact Irene Polyzos at IreneP@ausvets.org. Headquartered in the Washington, D.C. area and on the West Coast, tiag (The Informatics Applications Group, Inc.), is an innovative management consulting and technology services firm esteemed for providing superior technology solutions that transform business and advance critical missions. tiag takes pride in its people, achievements, processes and successes in leading initiatives to support our government and commercial clients. tiag’s extensive services portfolio delivers focused expertise and support ranging from complex, enterprise-wide solutions to stand-alone custom projects. Please explore our service offerings at tiag.net and connect with us to discover how we provide tremendous value beyond the scope of work.